WWBA is proud to present its ninth season of its signature series Poetry in Performance: Walking With Whitman. The series was founded by WWBA Writer-in-Residence George Wallace in 2010. 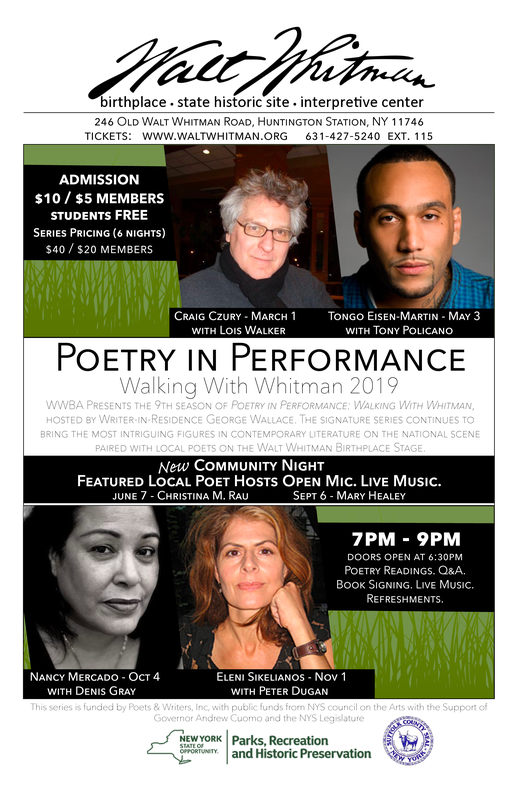 Six times a year, Walking with Whitman (WWW) spotlights distinguished poets from around the world and allows attendees a chance to interact with the poets in an intimate setting. See below for individual WWW events & tickets, or click here for currently available tickets.